This publication should be cited as: Bergeijk, P. van. 2014. 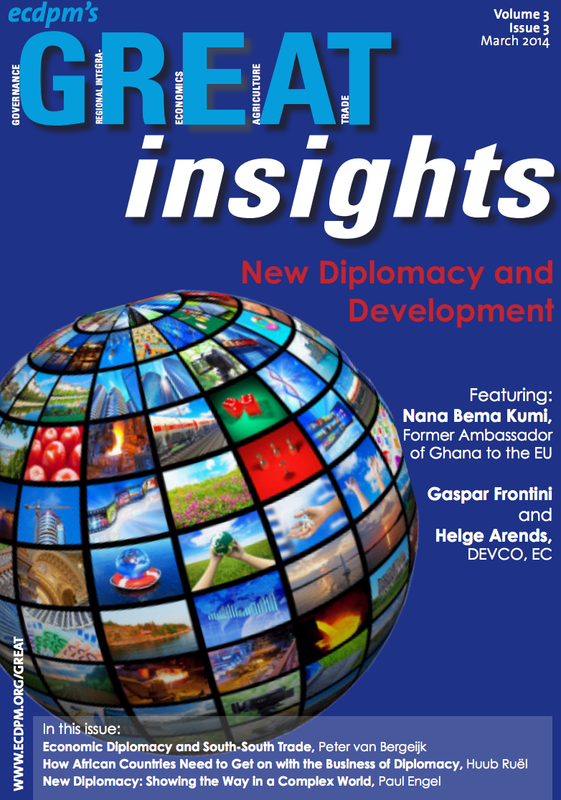 Economic diplomacy and South-South trade: A new issue in development. GREAT Insights, Volume 3, Issue 3. March 2014. Economic diplomacy is being rediscovered as a government activity that may help to boost trade and investment. But can it play a role in the foreign trade and investment activities of developing countries? More importantly: does it pay off? 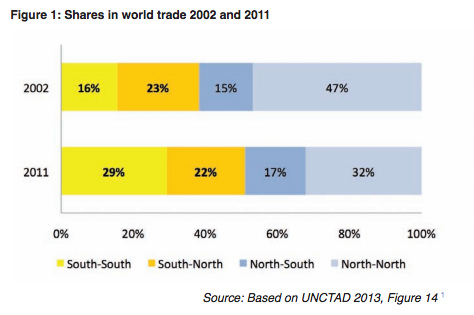 Developing countries are increasingly taking the lead in world trade: in 2011 more than 51% of international trade originated in the global South (Figure 1). This is good news because it implies that developing countries are successfully diversifying their economies both with respect to the composition of production (the intensity of international trade in relation to domestic economic activities) and with respect to their trade partners. This success, however, is mainly driven by growing trade between developing countries. With respect to the entering to market of developed countries, the progress is less clear and one reason is that these countries often still have a reputation for being unable to produce quality products. Purchasing managers in the North often do not trust suppliers from the global South. Similar reasoning applies to foreign investment. 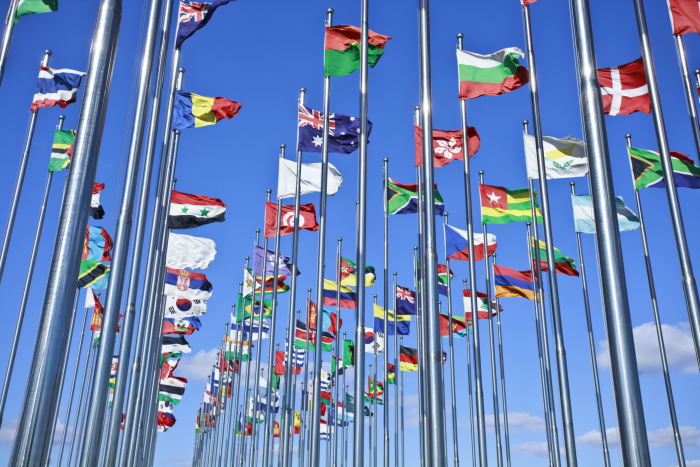 Developing countries thus need to improve their reputation by, for example, creating and signalling higher national quality standards and increasing their number of trading and investment partners. An important instrument to provide this manner of ‘trade capital’ (a public good for all companies in a country) is via economic diplomacy. 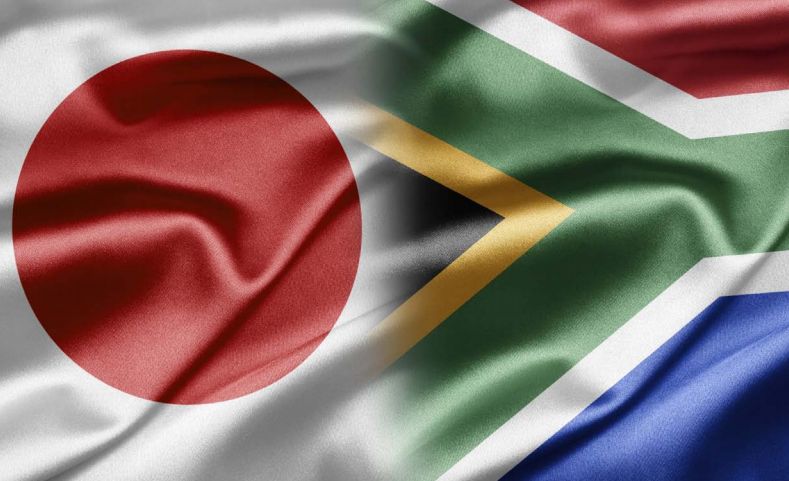 the building and use of bilateral cultural, political and economic relationships that exist between countries in order to assist domestic companies when they encounter difficulties abroad. For a long time, international trade economists did not like government activity aimed at stimulating bilateral economic activity. Instead they wanted to rely on markets and argued against export promotion because they saw government interventions basically as distortions and also because their theory told them that specialisation in accordance with comparative advantage would already do the trick. Since the early 2000s however, economic diplomacy is once again on top of policy makers’ agendas. In the slipstream of the policy discussions, economic diplomacy also emerged as a major issue on the research agenda of international trade economists. Initially the analysis of economic diplomacy studied the impact of diplomacy assuming the effect would be independent of the level of development of the trade partners. Yakop and Van Bergeijk (3) were the first to empirically show the importance of distinguishing between OECD (Organisation for Economic Co-operation and Development) markets and developing countries. Indeed, embassies and consulates can reduce intangible, but real, barriers to trade (such as lack of trust, cultural differences or lacking or weak legal frameworks and insufficient accountability and stability). This export facilitation is a significant trade-enhancing factor in South-South trade, in trade between developed and developing countries (and vice versa) but not within the group of higher income countries. This could reflect that markets in the developing countries tend to be more incomplete implying that market failures may be more of a problem in these countries. Typically, economic diplomacy can be useful in this context especially in order to establish good political relationships that breed trust and facilitate mutually beneficial trade and investment. Veenstra et al. (4) showed that this is especially relevant for export promotion agencies that do not add much value in OECD countries but appear to be effective in developing countries (this study analyses export promotion agencies in conjunction with embassies and consulates). Moons’ (5) review of the literature on the impact of economic diplomacy on the extensive margin (new trade partners) and the intensive margin (more trade with the same trade partners), finds important differences for Latin America and the OECD countries. Importantly, technological progress (the internet and further improvements in transportation) reduced the economic costs of trading with distant countries. Economic distance seemed to decay. At the same time, however, trade models continued to find that physical distance mattered (and actually started to matter more than it had done in the mid-1990s). How to reconcile this puzzle? Typically trade economists discovered that other forms of distance (cultural, political, historical distance) had taken over the trade-reducing role of economic distance, i.e. the costs of transportation (6). Partly this reflected the fact that these factors had always been present but hidden under the veil of the economic distance. With reduced economic distance these factors became apparent. However, equally important was that trade was increasingly taking place with ‘new’ trading partners. Cultural and institutional factors may make it necessary for national governments to get involved in international transactions. This is especially the case now that former communist countries account for an increasing share of world trade. State enterprises may be the counterpart of a company operating in the international markets. This creates the necessity for entrepreneurs to seek cooperation with their national governments in order to equalise the power balance and to improve the playing field. (Political) uncertainty about international transactions must often be removed or reduced. Government involvement may signal that a transaction will not raise political resistance. The information needed for international transactions sometimes requires involvement of government officials because it will only be shared in long term relationships between non-commercial parties. Not all economic diplomatic activities, however, can be expected to yield beneficial results and some restraint is necessary because firms will always demand more of un(der)priced services and also because diplomats may want to show that they are involved in economic activities in order to further their diplomatic career. In order to facilitate decision-making on the use of scarce resources, Diagram 1 develops a decision tree. The top level of the diagram is where we start. The first question relates to the country characteristics of the trade partners. 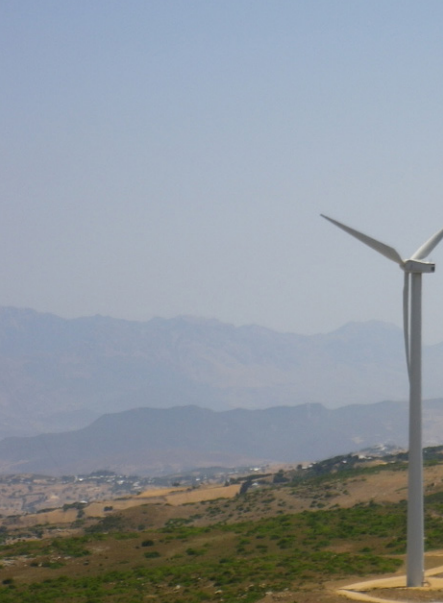 At the second level the focus is on the product characteristics: dual use goods require decisions in terms of export permits and infrastructural works are commissioned by governments so that economic diplomats by necessity have to be involved in both countries. At the third level we find specific (interpretations of) foreign regulations that discourage trade and investment. And ultimately there may be cases where the interests of national companies are violated by foreign governments. But if neither of these issues is on the table, economic diplomacy cannot be expected to be welfare enhancing. While economic diplomacy is more effective in the bilateral relationships of the developing world than amongst OECD countries, this is not to say that all developing countries are benefitting to the same extent. By way of illustration, Table 1 reports the factors behind this heterogeneity. In the top-right we find Brazil and Chile. They have an efficient economic service, but they could benefit more if these efforts were aimed at other economies. 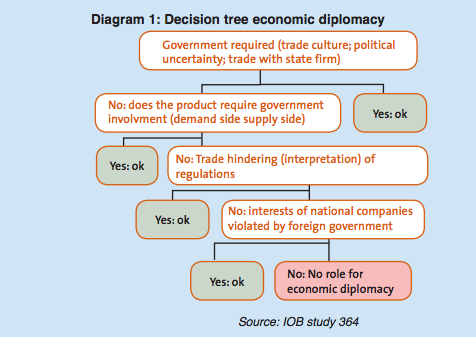 In the bottom-left we find Algeria, Bangladesh, the Dominican Republic, Egypt, India, Morocco, Nigeria, Sudan and Tunisia that aim their economic diplomacy at the right markets, but could gain in efficiency for example by applying the decision tree in Diagram 1. In the bottom-right we find Iran, Uganda and Venezuela that are unfocussed and inefficient. Interestingly the developing countries in the top-left (Argentina, China, Ecuador, Kenya, Malaysia, Pakistan, Peru, Philippines, South Africa, Thailand, Uruguay and Vietnam) outperform many OECD countries in terms of focus and efficiency. International trade is important for development. Exports generate jobs and revenues, create the possibility to reap economies of scale and help to diversify the economy. Imports of capital goods help to upgrade the economy and are vital in any long-term development process. Foreign investments (both in and by a country) are means to get knowledge and international market access. 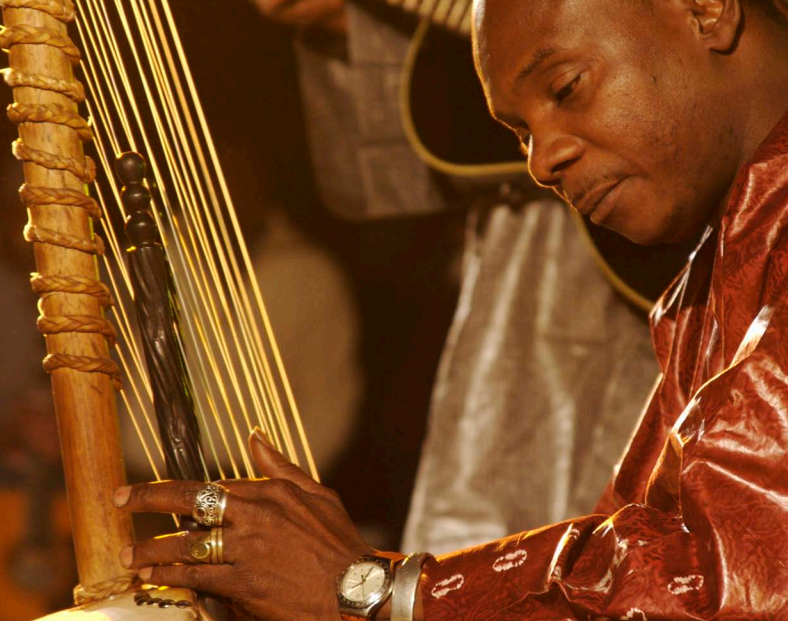 Economic diplomacy can play a powerful role in trade that originates in the global South. Economic diplomats cannot tackle the commercial risks of trade and investment and they should actually not attempt to do so. But they can help to breed trust, to bridge or help to understand differences between trade partners that are used to completely different context, and they can share high quality information on intentions and strategies thus shaping the environment in which their international firms can flourish. 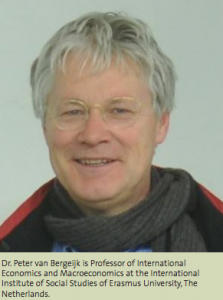 Peter van Bergeijk is Professor of International Economics and Macroeconomics at the International Institute of Social Studies of Erasmus University, The Netherlands. 1. UNCTAD. 2013. Key Trends in International Merchandise Trade. 2. I do not discuss activities within the World Trade Organization although these are important for the functioning of international markets or at the regional level (but see, for example, Afesorgbor and van Bergeijk 2014). 3. Yakop, M. & van Bergeijk, P. A. G. 2011. Economic diplomacy, trade and developing countries, Cambridge Journal of Regions, Economy and Society, Cambridge Political Economy Society, vol. 4(2), pages 253-267. 4. Veenstra, M. L. E. H. van et al. 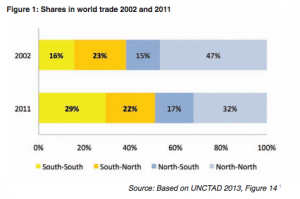 2011, The geography of trade and the network effects of economic diplomacy in the South. In M. Murshed et al. (eds) South-South Globalization: Challenges and Opportunities for Development Routledge, pp. 172- 193. 5. Moons, S. 2012. What are the effects of economic diplomacy on the margins of trade? International Journal of Diplomacy and Economy 1.2 147-162. 6. van Bergeijk,P. A. G. & Brakman, S. (ed.). 2010. The Gravity Model in International Trade. Cambridge Books, Cambridge University Press, number 9780521196154, October 2010.